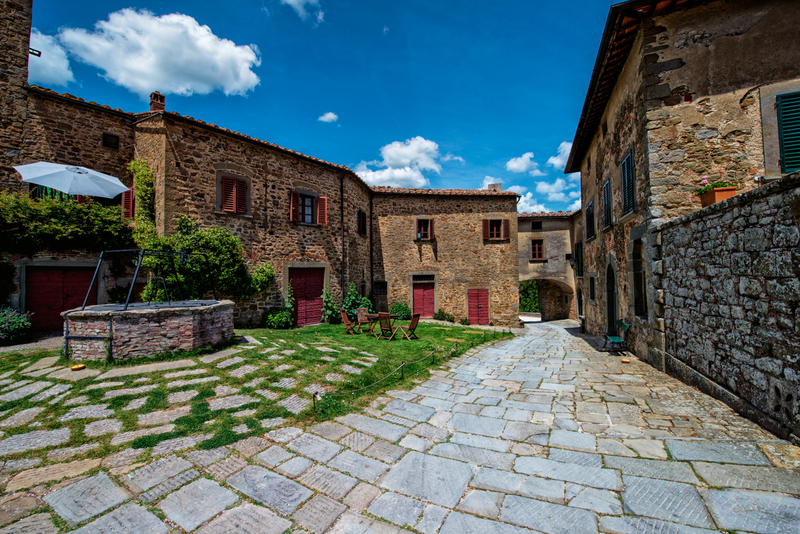 The tiny village of the medieval Borgo of Gargonza is situated a few kilometres from Monte San Savino, at the boundary between the Val d’Ambra and the Val d’Orcia, along State Road 73. The landscape context is one of the most suggestive in the western Valdichiana: the castle is built on a hillock that degrades to the east towards the Esse river, and to the west towards the Foenna. Entry to the fortified village is possible through a solid 13th-century door, and the inside of the castle does not give the appearance of solely a defense structure, but of a small town. 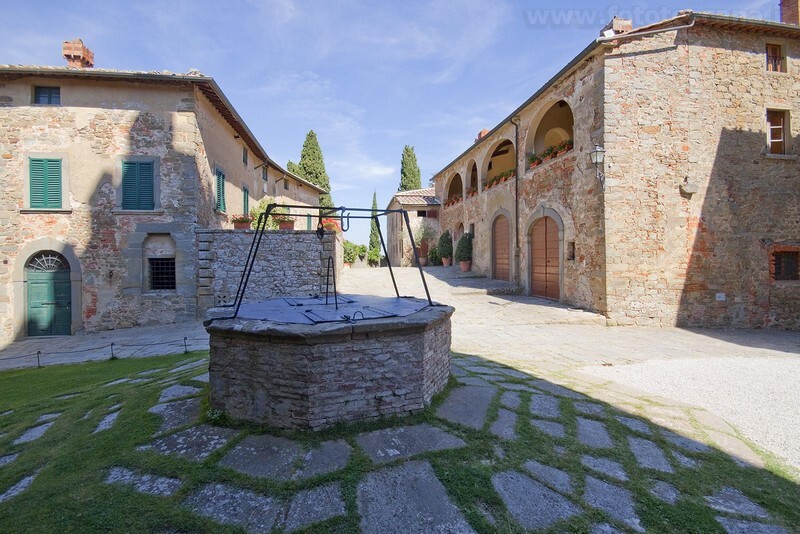 In the small central square surmounted by the tower of the 14th-century Sienese-style castle keep, aspects of the entire, medieval life of the place are represented: the well, the small Romanesque church, and various façades of old habitations. The history of Gargonza began to be documented from the beginning of the 14th century on, when in 1304 the Ghibellines from Arezzo met there with the Ghibellines of Firenze. During the same century, the castle became the property of the Sienese, and remained theirs until 1433 – when a devastating military attack on the part of the Florentines changed its fortunes. 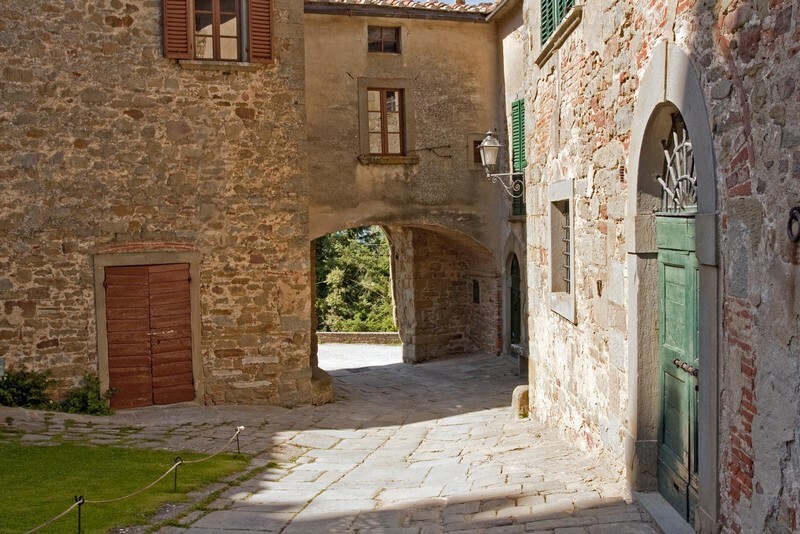 In the 14th century, the village was rented by the Florentines to the Stufa family, and in the 18th century, to Marchese Corsi. From that moment on, the castle was to assume a totally rustic physiognomy, which was counterbalanced only by a complete restoration of the village of Gargonza into a beautiful congress centre among other things. Book one of our gorgeous villas in Valdichiana, ideal starting point to visit Monte San Savino’s area and its beauties.